We’ve hit that mid-week point where we can look forward to the weekend, but are still acutely aware that there are still a few working days left to go before we can truly relax and enjoy a couple of days of relaxation. With that in mind, if you’re looking to spend a little money to take your mind off the working week, then we have a number of fantastic products that will not only look great as part of any technological arsenal, but also feel easy on the wallet. Starting off, you can give your room a bit of character with the LIFX smart WiFi bulbs which can light up the room with a range of soft colors to set the right mood. Speaking of home automation devices, there’s also a smart plug that can not only be controlled using a dedicated smartphone app, but also through Siri as it supports Apple’s HomeKit framework. 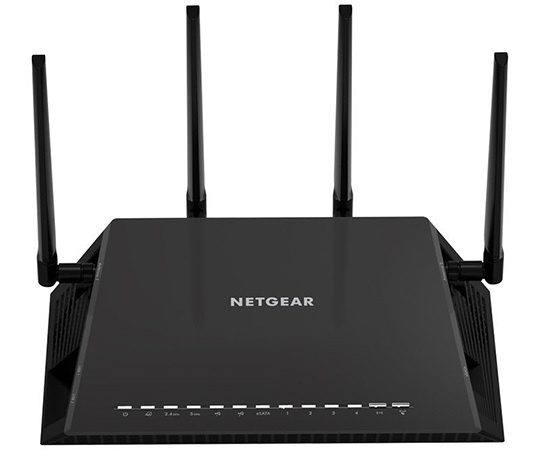 There’s also a very fast WiFi router offering from NETGEAR that will help speed up your local home WiFi. 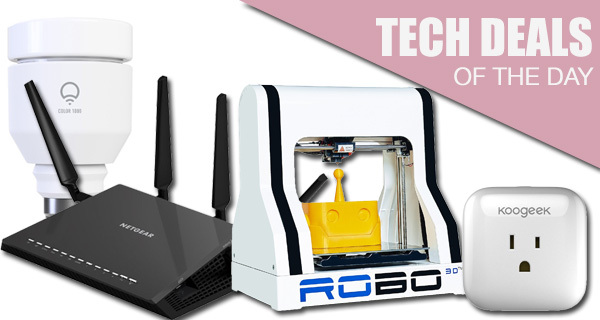 Last but not the least, there’s also a 3D printer offering from ROBO at a discounted price. As always is the case with these deals, all the offers listed here are time sensitive, or subject to stock levels, which means that if there is a product in here that you have mentally made a note of, you need to act fast before the offer expires. So what are you waiting for? Enjoy the savings! Those home and business owners looking for intelligent app controlled light bulbs will more often than not go with Philips Hue. Not necessarily because they are the best out there, or the most suitable for the use case, but just because Philips have the marketing power to get their product in front of more people. 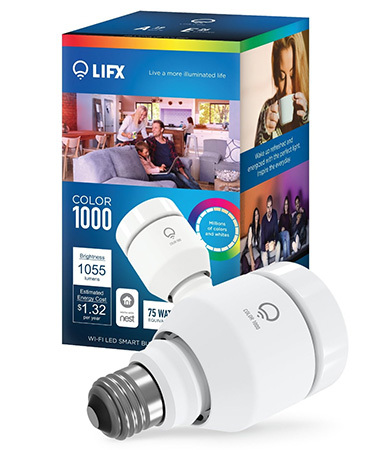 Those who prefer to stay away from Hue can invest in these LIFX options with Alexa voice control, multiple color changing, and the all-important app accessibility. If you are looking to invest in a new router, and want something that is high-performing and looks, well, like a spaceship, then you may find the NETGEAR Nighthawk gaming router of interest. It comes with a powerful 1.7GHz dual core processor and dynamic QoS for smooth, jitter-free gaming, as well as being network storage-ready with super-fast twin USB 3.0 and eSATA. In short, if you’re after a high performance router, then this is probably what you’re looking for. Technology is growing rapidly, and can be both fun and unbelievably complex. If you want to deviate away from the standard tech in favor of something a little more fun, then how about this great little ROBO 3D printer that can print layers up to a maximum of 100 microns? It comes with automatic calibration to make it as easy as possible to use, with the added benefit of having bed leveling for precision prints. It’s fun, it’s compact, and it’s actually affordable on the grand scheme of things. 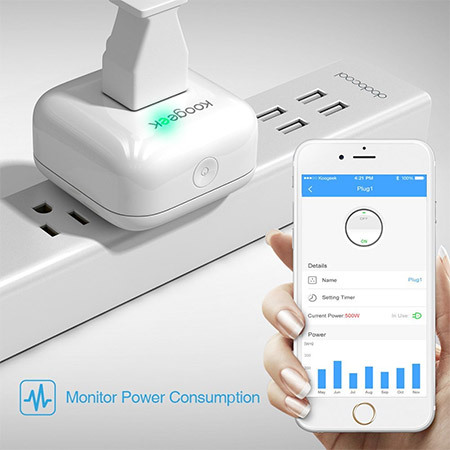 If you have an interest in home automation but prefer treading that path carefully, treat yourself to this WiFi-enabled smart plug, that not only couples up with your smartphone to let you monitor energy consumption, or turn the plug on or off, but also supports Apple’s HomeKit framework and accepts Siri commands from your iPhone.